There are so many questions surrounding marijuana these days, as several states have already legalized the drug for recreational use and most of the others have legalized it for medicinal purposes. When you are thinking about life insurance, whether or not the medical test includes a drug screen and specifically- a test for THC is a very real concern for people in many states. The first thing that you need to understand is how the insurance medical exam actually works. You will need to make an application for life insurance and in some cases that is going to require comprehensive medical exam. You will fill in all of your personal information, your health information and even your financial information on this insurance questionnaire. The use of nicotine products, alcohol and legal or illegal drugs are definitely part of this application process and you want to be absolutely honest because the only thing that will happen if you are too honest is you will get denied for insurance coverage or have to pay a higher premium but if you lie on the application and the insurance companies find out, they may cancel your policy altogether, and any payments you made to the insurance company are going to be forfeit. If you are concerned about admitting to marijuana use because you live in a state where it is illegal, whether recreationally or medicinally – or both – you don’t have to worry. For one thing, insurance companies cannot disclose information because of privacy policies but no insurance company in their right mind would turn their clients in anyway because they need you to be completely honest. If you feel you can’t be honest with your insurance company, you aren’t going to buy life insurance. Generally, you will have to have a medical exam and is quite comprehensive. The first thing that the provider is going to do is take your entire medical history and it is important that you be as accurate as you can. You may have to call relatives to find out about family history regarding health because they need everything. The provider will also take your blood pressure, check your heart rate, find out how tall you are and have used up on a scale and you’ll be asked about your lifestyle which is where the marijuana use comes in. Again, be as honest as you can. The provider will ask if you have high-risk hobbies like jumping out of planes in about your smoking, drinking and drug use. Finally, a blood sample be taken in a urine sample will be required. Yes, the urine will be tested for marijuana in that particular drug stays in your system for about 30 days. There are some marijuana friendly insurance companies out there and finding them isn’t actually that hard. You can usually look online and get some user recommendations and in states where marijuana is legal the insurance company may actually advertise that they are willing to write policies even if you’re a marijuana user. If you choose the company right from the start that is willing to work with you and doesn’t care about your marijuana use as far as insurance goes, you will definitely be happier down the road. Once you have decided that you are going to go with a certain batch of companies that you know are marijuana friendly, then you want to go to each one and get a quote and find out which company offers the best deal. Just because a company is marijuana friendly doesn’t mean that you should choose it if it has a bad rate. Make sure that you are doing your research so that you can save money and still be able to live your lifestyle the way you want. Here is a step-by-step guide on how to get the best rate for your insurance policy. Tell your agent that you use marijuana. Be completely honest, and upfront about your use. Remember, they are going to check for marijuana anyway, so you have nothing to lose by being honest. If the agent seems judgmental or you are uncomfortable then leave and go to a different agent. Disclose to the agent how often you use marijuana. If you are a daily user, then make sure that he or she knows that and if you are just an occasional user, it is even more important to give them that information. Tell the agent what your reasons are for using marijuana. This is actually a very important step and it may get you a lower rate with marijuana friendly insurance companies. If you’re using it for pain management or another medicinal purpose, then let them know and if you are using it for recreational purposes – you’re going to want to tell them that as well. Describe to the agent how you use marijuana. If you smoke it rolled in paper (joints) or do you prefer to use a bong or pipe? Some people don’t even use marijuana through inhalation but instead have it in baked goods and in stores that sell marijuana in legal states, these baked goods are quite prevalent. Remember that term life insurance is going to be much cheaper than other permanent forms of life insurance like whole life. If you are finding that life insurance is simply too expensive for you to afford, compare quotes for different lengths of term life before you give up. Any life insurance is better than nothing and getting shorter length term policies can save a lot of money. 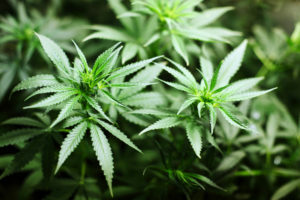 The bottom line here is that you can get a good rate on a life insurance policy even if you smoke marijuana – or use it some other way – but it is much better to have to go through several insurance companies until you find one willing to accept you then to go with an insurance company and why and get found out later on and be denied and possibly blacklisted. Another option you have is to stop using marijuana altogether for at least 30 days before you go in for your physical.